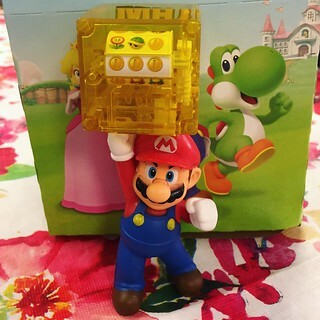 When your friend finds out that this month’s Happy Meal toys are all Mario related, you have to go to McDonald’s for lunch. I can feel the grease in my skin and I don’t care because just look at this adorable Italian stereotype! Bonus, I still had my badge on when we ordered and the cashier had lots of questions about the library so I got to tell them about how to get a card, how to download books, and when our hours were. Hopefully she stops by later! See, it’s not just you guys that I constantly drop in and talk about library services. What was the last Happy Meal (or kids toy at restaurant) that you got? Next Castle Rock – I give up!